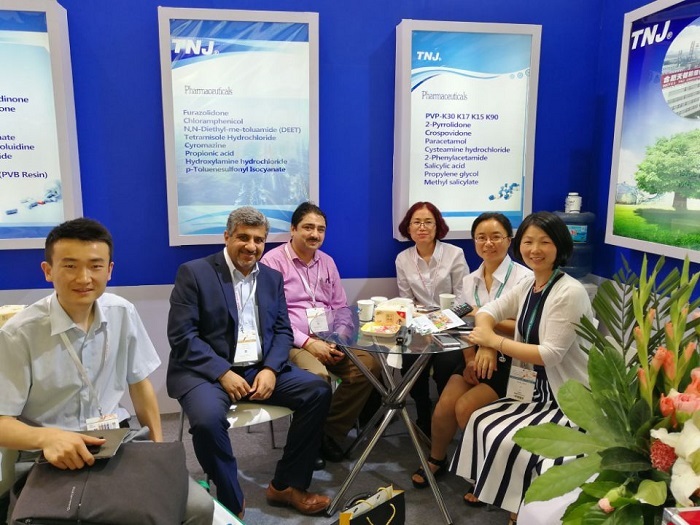 On June 20-22, TNJ Chemical sent delegation to attend CPHI Shanghai 2017, and got great success in expanding business and meeting customers etc. CPHI is a professional chemical pharmaceutical raw materials exhibition, held worldwide specially for APIs. There are around 20,000 visitors from all over the world coming to the tradeshow almost every year. It is the most popular chemical meeting for APIs. 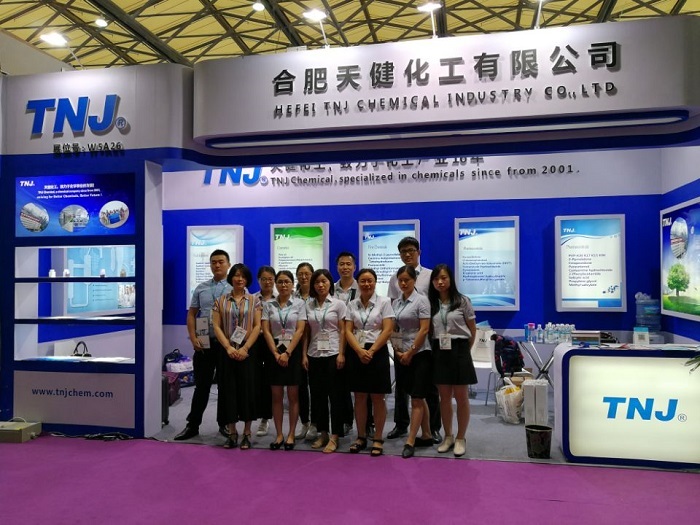 TNJ Chemical, as a professional chemical factory supplier with more than 16 years history, attend CPHI every year in different countries aournd the world. 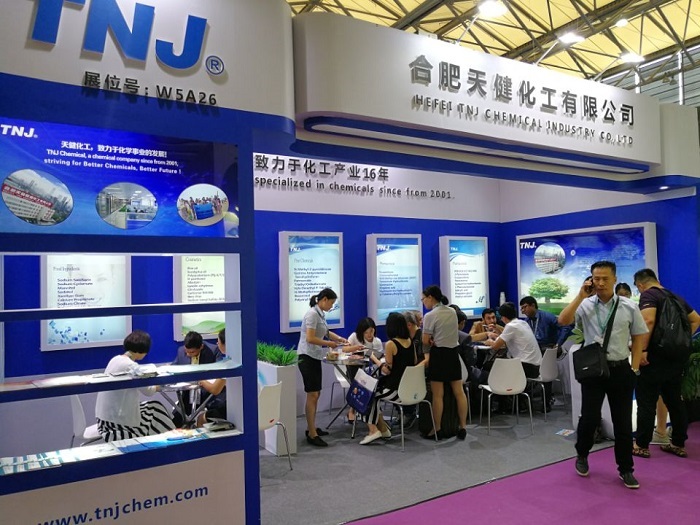 It is an important promotion platform for TNJ Chemical to advertise its products and service etc. It helps a lot in building TNJ Chemical as a world famous brand. 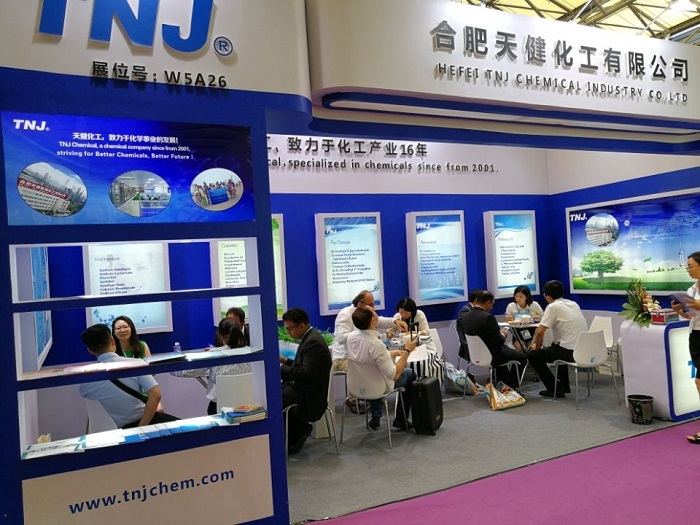 In CPHI 2017, around 380 visitors paid visit to TNJ Chemical, and TNJ Chemical also got lots of potential business cooperation. We met new customers to discuss potential cooperation in near future, also to take this oppertunity to meet regular-cooperation customers.